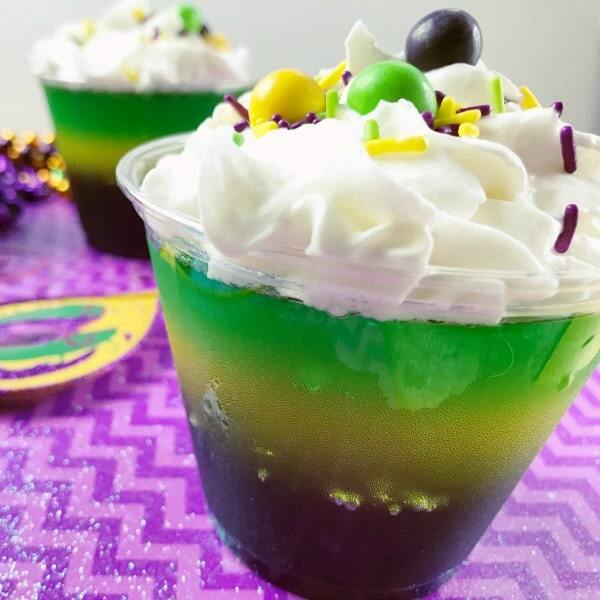 Mardi Gras Layered Jello Cups are the perfect individual treat for Fat Tuesday. These colorful treats are easy to make ahead of time and are great for parties. 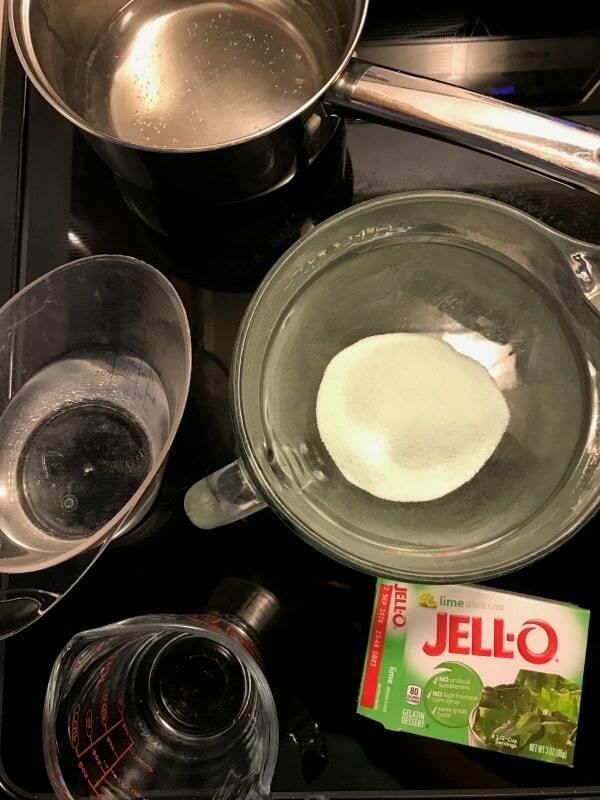 Jello is a refreshing and light dessert and I love being able to do most of the work ahead of time. Layering colorful Jello in a cup is a treat that never gets boring. Layers of purple, green and yellow bring so much color to the cup! 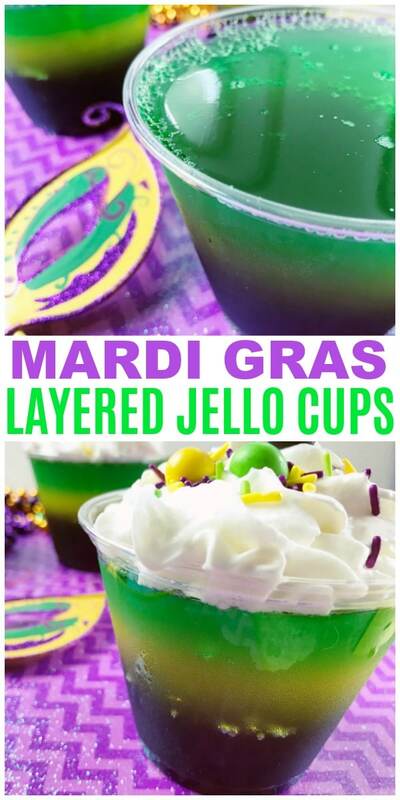 People enjoy walking around at parties and it is simple to do while enjoying a Mardi Gras Layered Jello because they are eaten with a spoon! Mardi Gras is all about fun, food and fellowship. If you are throwing a Mardi Gras party there has to be plenty of food! I visited New Orleans last year and although it wasn’t during Mardi Gras I can attest to how important food is in that city. The food was absolutely wonderful. 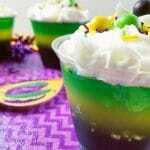 These Mardi Gras Layered Jello Cups are a simple dessert that will be a big hit. Other food traditions for Mardi Gras are King Cake, jambalaya, crawfish and any creole inspired dish. If you are throwing a big Mardi Gras party be sure to have some basic party favors on hand. Beads, beads, beads are a must for any Mardi Gras party. Masks , hats and noisemakers are also going to be very popular. Make sure the decorations feature the traditional colors of purple, green and gold. The first step is to make the Jello according to the package directions. Start with the grape Jello. While the Jello is still liquid pour equal amounts into 6 clear, disposable cups. 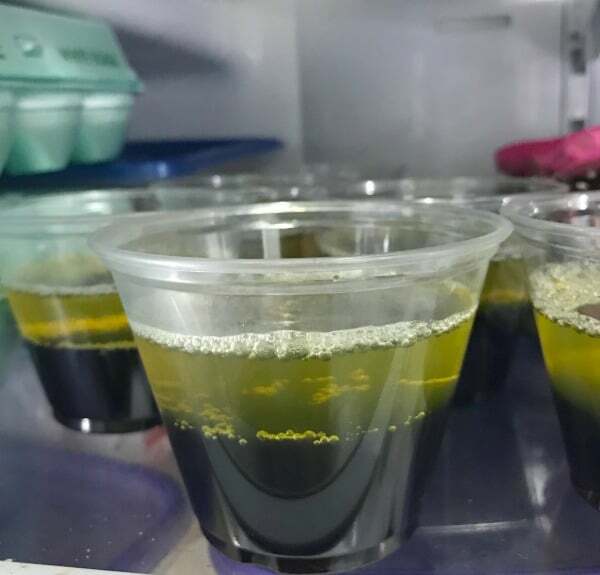 Refrigerate the cups of grape Jello for 2 hours or until set. It is time to repeat the same process above for the lemon Jello. This will create the 2nd layer in the cup. Refrigerate the cups for another 2 hours to allow the 2nd layer of Jello to set up. Go ahead and repeat the process above for the lime Jello. This creates the 3rd and final layer of Jello in the cup. Refrigerate the cups for another 2 hours to allow for the last layer of Jello to set up. Once the Mardi Gras Layered Jello is all set up it is time to add some toppings. You can add whipped cream, Cool Whip or any other creamy topping you would like to the top. Add some brightly colored purple, green and gold sprinkles to the very top and you are ready to dig in! Be sure to keep any extras in the refrigerator. 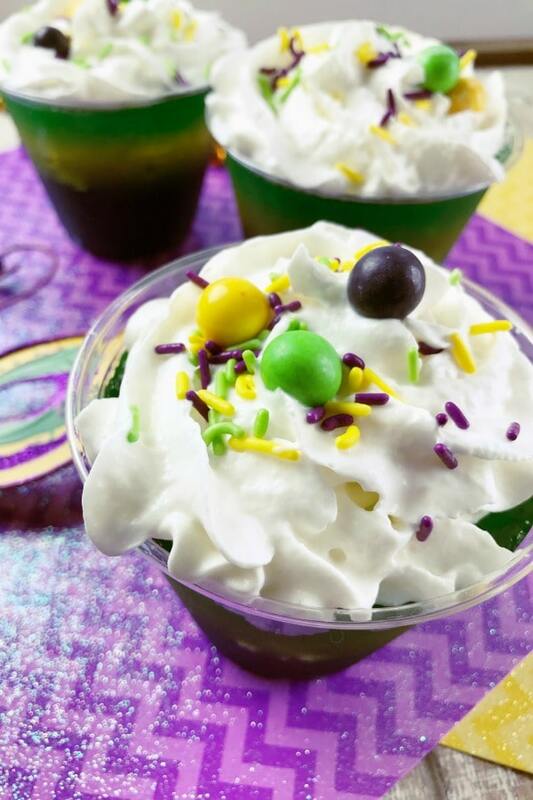 If you are ready to make these delightful Mardi Gras Layered Jello Cups, just follow the detailed recipe card below. 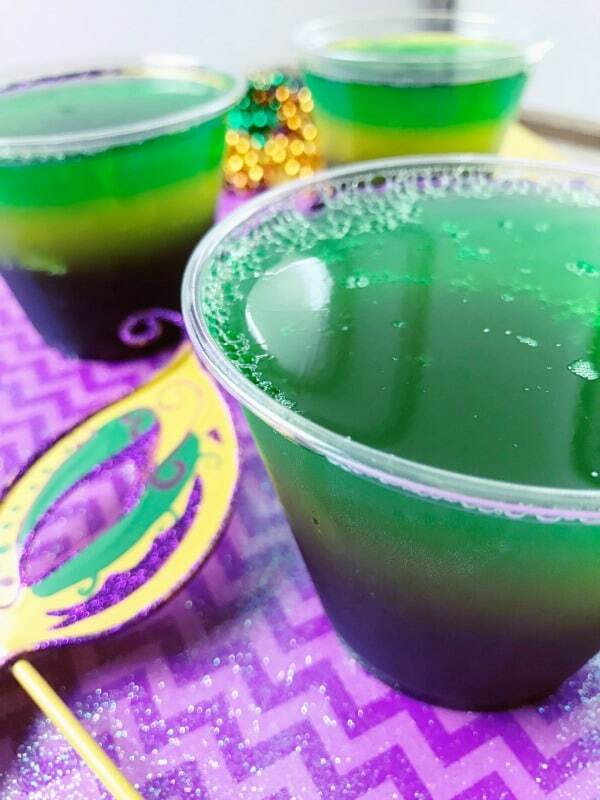 Mardi Gras Layered Jello is the perfect treat for Fat Tuesday. The whole family will love digging into these colorful Jello cups. Prepare grape Jell-o according to package directions. While the gelatin is still liquid, pour equal amounts into 6 clear cups. Refrigerate until set, about 2 hours. Prepare lemon Jell-o according to package directions. While the gelatin is still liquid, pour equal amounts over the grape Jell-o. Refrigerate until set, about 2 hours. 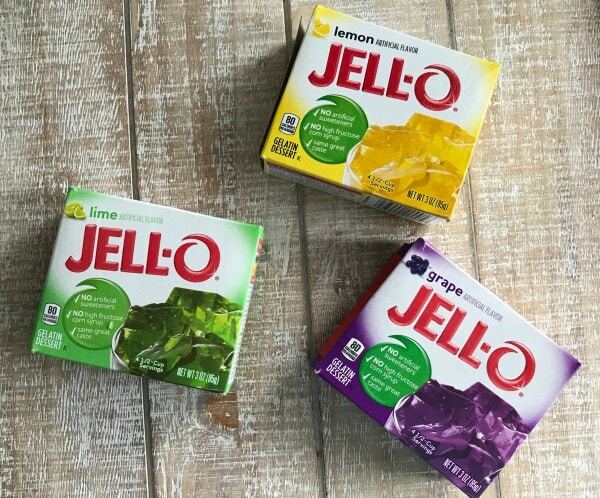 Prepare lime Jell-o according to package directions. While the gelatin is still liquid, pour equal amounts into 6 clear cups. Refrigerate until set, about 2 hours. Before serving, top with whipped cream and decorative sprinkles. This makes 6 individual cups. Be sure to PIN this recipe so you can make it year after year! fun for kids or adults and easily adapted for any holiday! Thanks for linking up to us at Fiesta Friday! What a great Mardi Gras treat! Hope you are having a great week and thanks so much for sharing your post with us at Full Plate Thursday. What a fun idea!! Thanks for sharing at the What’s for Dinner Party – hope your week is fantastic! These are great, Corinne! Thanks for linking up with us this week!